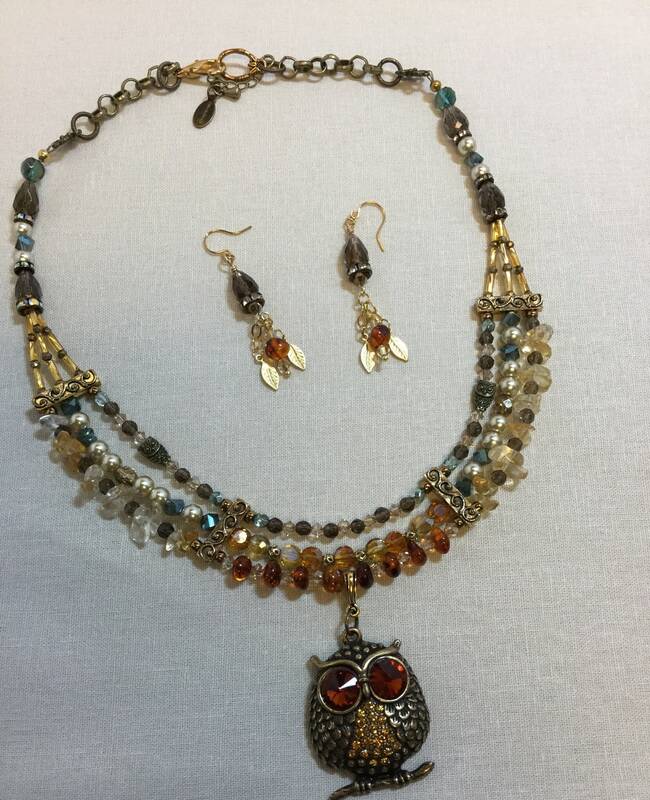 The Wise Woman series celebrates the many years of wisdom that women pass down to each other over generations and centuries. 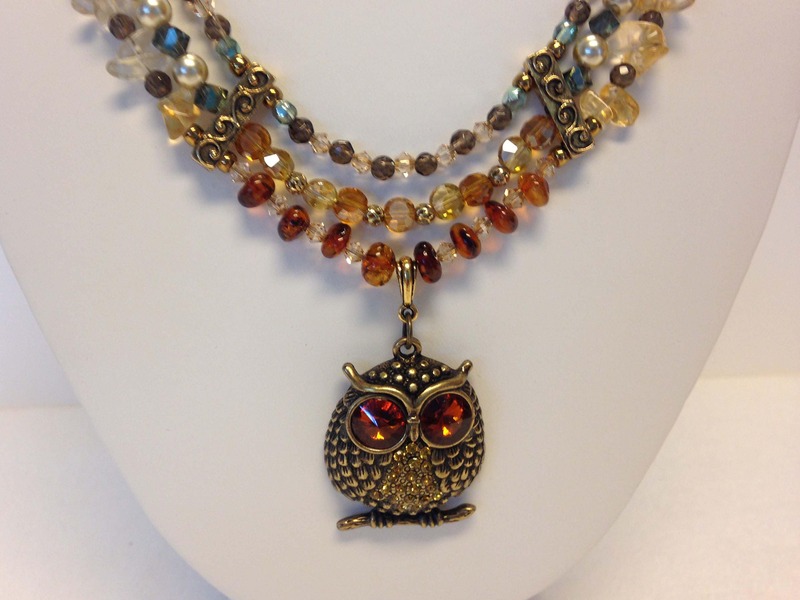 This triple-strand necklace is one of my most ambitious projects to date. 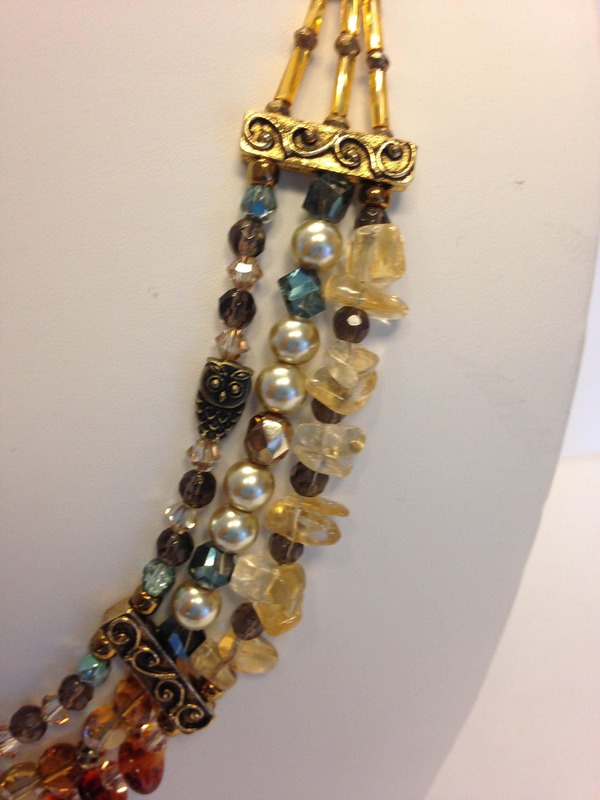 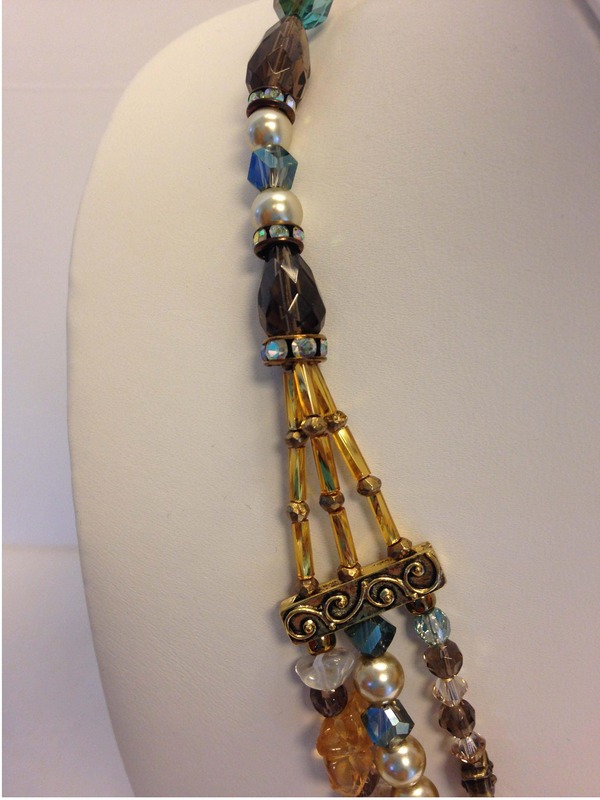 It features amber, smoky quartz, citrine, and vintage costume pearls, with Swarovsky crystals and gold tone accents. 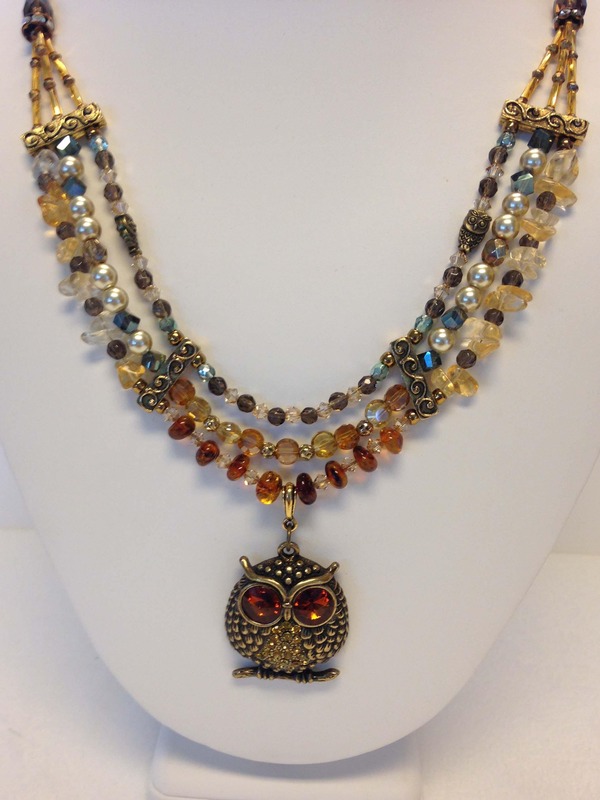 The necklace measures 20 inches, with an additional 2 1/4 inches for the pendant and it can be adjusted to be shorter or longer. 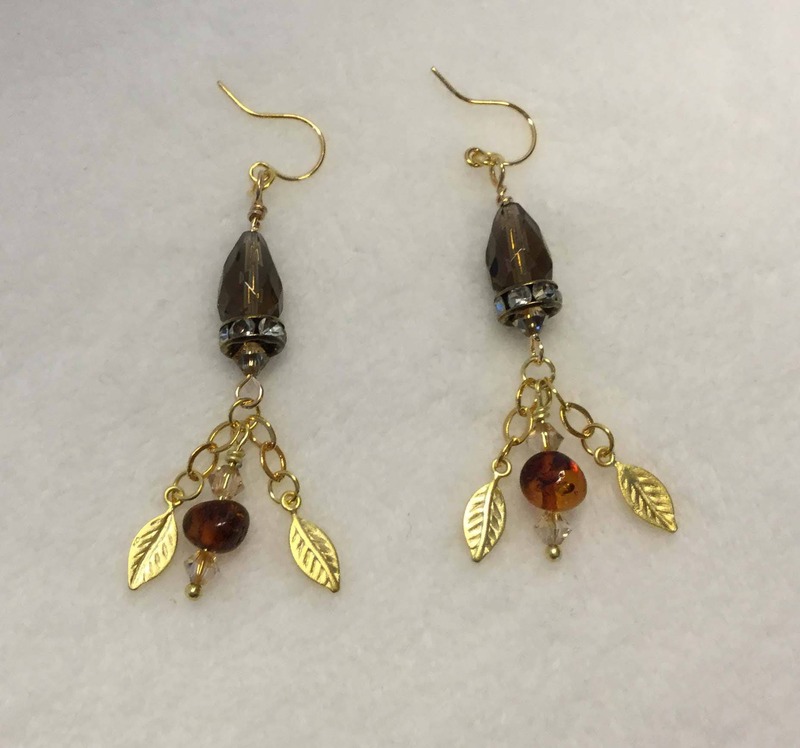 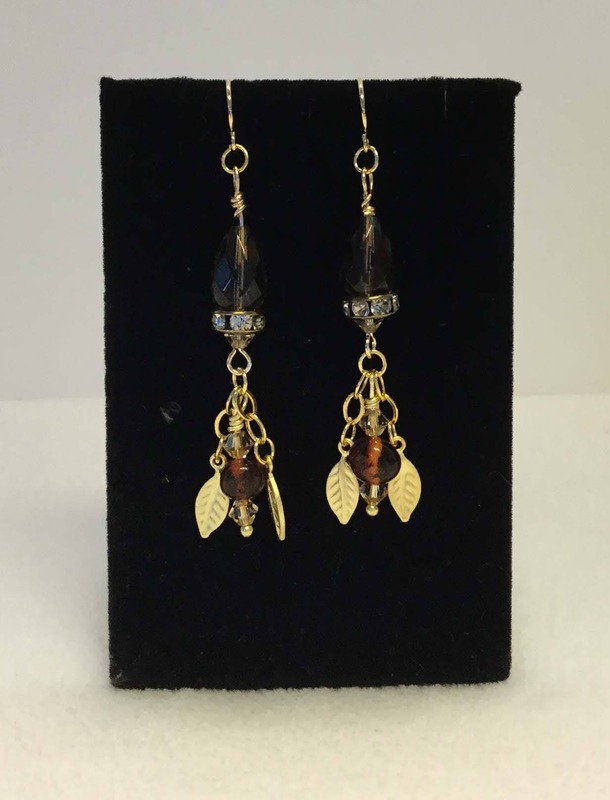 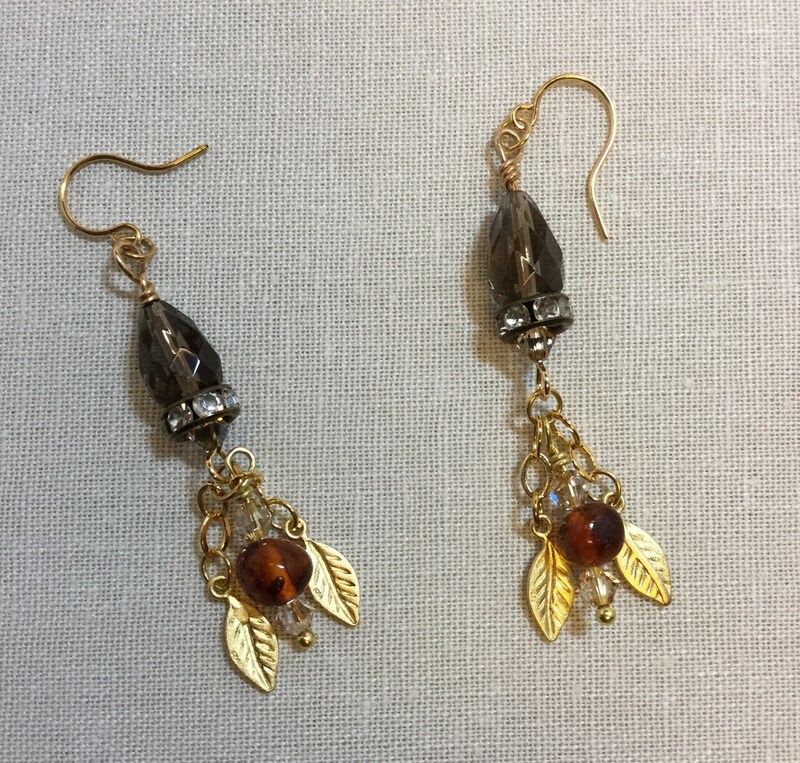 The matching earrings are made from smoky quartz, amber, Swarovski crystals, and small gold vermeil leafs dangling from 14K gold chains. 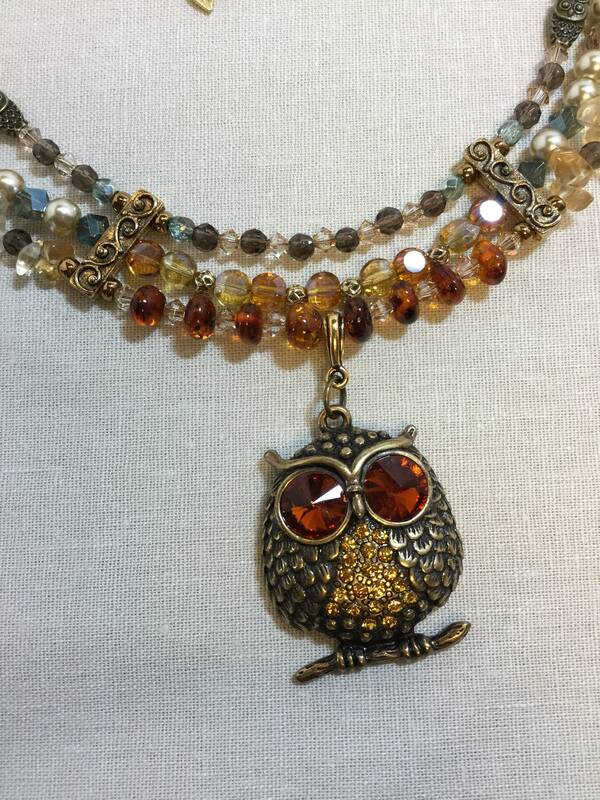 Check my about section for detailed information on sizing.